This year I contemplated over what might be my non-debatable when it comes to taking care of me in 2018. I couldn’t care less for the hair salon, I cherish clothes yet I’m not a major customer so I contemplated on that one thing that would be moderate and advantageous and my nails came to mind. As an improved hoarder of nail polish, I decided to schedule a weekly visit to the salon since I no longer wanted to do my nails myself anymore. Barely a month in, I am already hooked. Whenever I look at my nails while typing or driving, it makes me smile. In the wake of having attempted manicure that got bad within a few days, I chose to give SNS nails a trial after someone recommended it to me. SNS is an acronym for Standard Nail System. 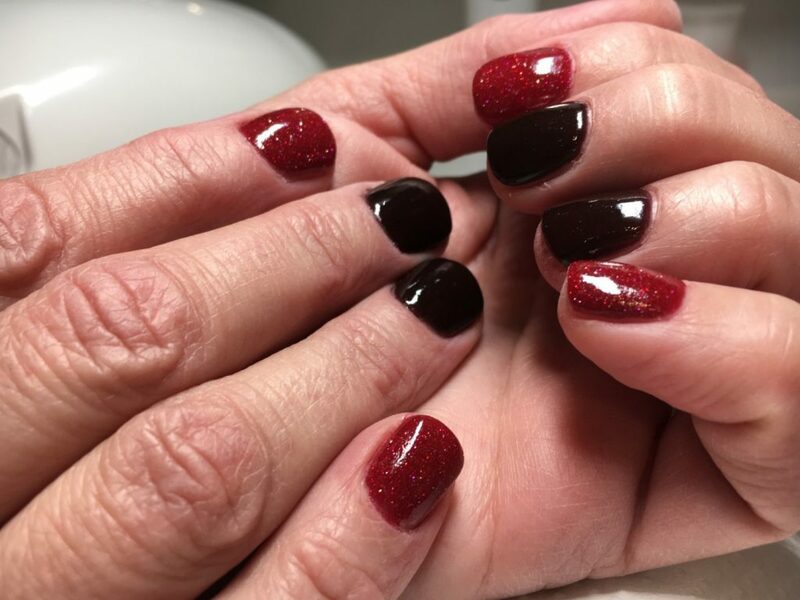 Before visiting the salon, I had no idea what the procedure for this manicure was like but since it looked good on her, I am giving it a trial anyway. Essentially SNS dipping powder should be a healthy and natural option to acrylics and gel. It can rest on top of your real nails regardless of the length and it involves applying top coat on your nails, dunking them into colored powder and repeating the process all over again. Your nails are filed afterwards and the gel coat seats in just fine. The final product can stay on your nails for 2 weeks with an astonishing sparkle and no lifting. You can try keeping them for up to 3 weeks but right now, I have a bi-weekly nail appointment. I love this product so much so I want to throw some light on its upsides and downsides. It is an expensive procedure. Whenever I visit a salon to get this manicure done, it costs me $25. It is difficult to check how the shading will turn out as it is in a lds dipping powder shape. For you to have a glimpse of what it looks like, you have to rely on the nail dummy. I trust you are trying out some type of self-care this year. If you are not, please look for ways to care for yourself this year.